For the basis of this article, we are going to focus solely on how to infuse self-reliance training and skills into your curriculum and homeschool year. You just can’t find that type of material compiled by subject of grade level anywhere – at least not until I finish my Homeschool Curriculum Adventures for Survival and Homesteading Families book! Always try to incorporate multiple subjects into each learning activity. Taking advantage of this manner of teaching will reinforce and hone all of the child’s basic skills in a meaningful way. • Teach children how to start their own seeds, grow fruits, vegetables, and herbs, create a compost pile, cultivate good soil, how to make their own natural pesticides and herbicides, and how to test its content, all reach not only nature science objectives while engaging in hands-on learning to keep them on the road to self-reliance. • The gardening lessons also require the children to comprehend and build upon their knowledge, read and follow instructions, and further their math skills all at the same time. • Have the children help make the pots for starting seeds by making their own out of newspaper and toilet paper rolls. • With your assistance, depending upon the child’s age and skills, make raised wood beds, and cold frames for starting seeds and plants. Learning the basics of carpentry will add to your child’s skill set while again, teaching them how to follow directions, measure, work with angles, and understand the importance of having wood on the survival retreat and saving old materials from past projects because they could come in handy of future jobs. • Make learning the names and parts of plants the art project for the day or week. Let the children draw the plants on paper, scrap wood, or an indoor or outdoor chalkboard to learn the parts and how to spell each item you are growing in the garden. • To infuse more language, arts and science objectives into the project, have the child make a classification graph of the crops, keep a record graph of their growth, and write a daily journal entry noting what they learned that day about gardening, including hand drawn images of the plants, carpentry plans, etc. • Tying history to gardening is a little difficult, but not impossible. Use the time spent working the land together to talk about the history of American farms, Johnny Appleseed, and the progression of manual agriculture tools and equipment to modern machinery. Discuss how the modern tools and methods used to tend to the family’s food supply would change during a disaster and how the task could be accomplished without the aide of fuel or electricity. • During story time with younger children, choose books about gardening, growing plants, and farm life. Give older children a related book, preferably a non-fiction novel about a notable off grid family that has a successful garden, people who preserve and cultivate heirloom seeds, biographies of homesteading experts, etc. Have some fun with their book reports. Sure, the kids do need to write reports during the school year, but have them showcase their comprehension of the material by doing a book report in a bag, giving a 5-minute demonstration on something they learned from the book, making up a song or poem to describe the book, creating posters to relay the progression of the storyline in the book, or making a storybook for little siblings based upon the book they read, complete with illustrations made by hand or on the computer. • The educational opportunities stemming from the barnyard are nearly endless! You can do an entire learning unit on each animal that your have, or plan to have, over the course of a month – depending upon your survival homesteading plans. Many of these activities could, and should, be going on during the same day. Learning about animal care is of course, a science lesson, but there are many, many way to infuse all four remaining primary subject areas, language arts, math, and social studies, into the same lessons as well. • Design an animal husbandry research and writing project to the age of your children. This type of learning activity is great if you work with children of multiple ages at the same time. The basis of the lesson plans and activities are the same, they are just tweaked a bit to suit each child’s age and abilities. • Instruct the children to research the key aspects of husbandry for each animal in books and online. If working with younger children, download some free farm animal worksheets, you will be able to find many art, math, reading, and science sheets and mini-books to download – more than what you could go through if you spend a whole month on an entire animal breed. • Have the children interview someone outside the family who has raised or bred the animals for a long time to give them the chance to conduct an interview with an “expert” as part of their writing lesson. Let the children take photos and videos during their interview. Discuss what types of questions the person should be asked beforehand based upon their animal husbandry research. • Have the children keep a journal about their interaction and the behavior and health of the animal each day after doing their chores to help care for the animal. • Instruct the children to make graphs depicting how much food the animal eats, water it drinks, milks it gives, or eggs it lays each day. This will require the child measuring out the food and water beforehand – a math skill. If the children are younger, create story problems. Based upon the animal they are learning about that week or month. • This is a great middle and high school barnyard unit activity. Spend some time learning about what makes quality hay and straw, how much the animal eats in the different seasons and why, how to cultivate pasture to create quality hay and straw and devote a space in the homesteading survival retreat pasture to put the newly acquired knowledge to work. To infuse some math into the lesson, give the child a budget to work from based upon a fictitious job that takes up X amount of hours. Next, task the child with buying seed and other supplies to put in X amount of acres of hay or straw. Factor in equipment rental for baling or fuel and baling supply costs for equipment you already have. Now, the child must factor in the time it will take to plant, harvest, and bale and the available non-work hours to get this done. Teach the child how to use the farmer’s almanac to see long-range weather predictions to schedule the dry days needed to cut, rake, bale, and store the hay or straw. The project should be compiled as a report that shows the math work in story problem format, possibly graphs and charts, and essay question style answers to explain each step of the planting, cultivation, and harvesting process. • Food preservation, cooking, and baking with the food grown and raised on the homesteading survival retreat should be included in this unit. The lessons offer the opportunity to teach about nutrition, math through measuring and yield activities, science via the cooking, baking, and food preservation activities, how to follow directions, and writing exercises stemming from a recipe book the children create while working on their edible projects. The children should learn how to milk the animals on the homestead, make their own cheese and butter, as well. Put the children in charge of making a meal for the entire family out of only food grown or raised on the survival homestead. • Allow the children to work along or together to make an ad campaign promoting their barnyard “business.” They should write their own newspaper and television commercial advertisements. Older children could even create (not necessarily publish) a blog for their business, and also create a video from their commercial advertisement writing project – complete with music or costumes they make to act out their words. • Older children should be tasked with researching and writing a report about agriculture laws in the state so they can learn how the food grown and raised on the survival homestead could legally be sold for profit. • Butchering should be introduced at the youngest age you are comfortable with and the skills expanded upon over time. An entire educational unit could be built around humanely slaughtering the animals, skinning them, butchering the meat, disposing of the unused portions, tanning hides, etc. • Repeat the storybook and non-fiction reading and book report activities for the barnyard unit in the same manner as noted in the gardening lesson plans section. • Help the children make simple stuffed animals depicting the animals they are learning about out of felt by using simple hand sewing stitches. Making a diorama of the barnyard area they are learning about can be part of a larger display that grows as they learn about more animals throughout the year. A plethora of meaningful art extension opportunities for barnyard units exist. Pinterest is a great place to look for inspiration and free pattern downloads and art project printables. • Set up some targets and get ready to teach the children how to do a lot more than shoot! Shooting a bow and arrow will teach the children about velocity, gravity, measuring distance, angles through and aiming, just to name a few. • Help the children make a bow out of PVC pipe to use during their archery unit. 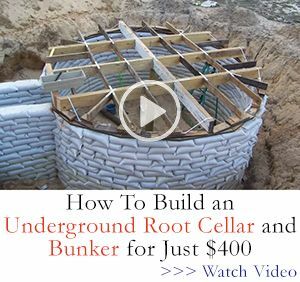 The project will cost about $10 or less and requires only the use of simple tools. The meaningful art project will require the child to follow instructions, read, and do a decent amount of math via measurement. • Make arrows with the children out of natural materials or other inexpensive items after the children research primitive arrow making and write a report about their findings. • Using construction paper, have the child draw or glue printed images, of arrows used from primitive times through today on one side and write an essay style description about each particular arrow on the other side. Repeat this exercise when working on the PVC bow to show the different types of bows that existed both long ago and now. This will work some history into your project. A research project about the types of bows used by Native Americans and early pioneers in your area would be a great addition to this project – visit the local historical society or similar attraction while studying about early peoples and archery. • Make targets with the children out of cardboard for their archery practice. The children should be measuring the cardboard or similar material to you exact specifications and then. • Next, have them draw or trace an animal onto each target that is a natural predator in your area. The child should write a short report about each animal or complete learning worksheets about the wild animal – or both. This will work some more science into the archery unit. • Have the child write and then give a how-to speech about how they made the bow and another about how the made the arrows and cite at least two science and historical facts during their speech – language arts, science, history, and a whole lot of fun while learning an important self-reliance skill that can help put food on the table one day. • Once the targets are drawn and painted and mounted to straw bales, the children can put their actively engage in velocity, gravity, distance, and aiming lessons and extension activities. These activities can also be turned into homeschool educational units to help teach self-reliance to children of prepping parents using the same format as the examples presented above. 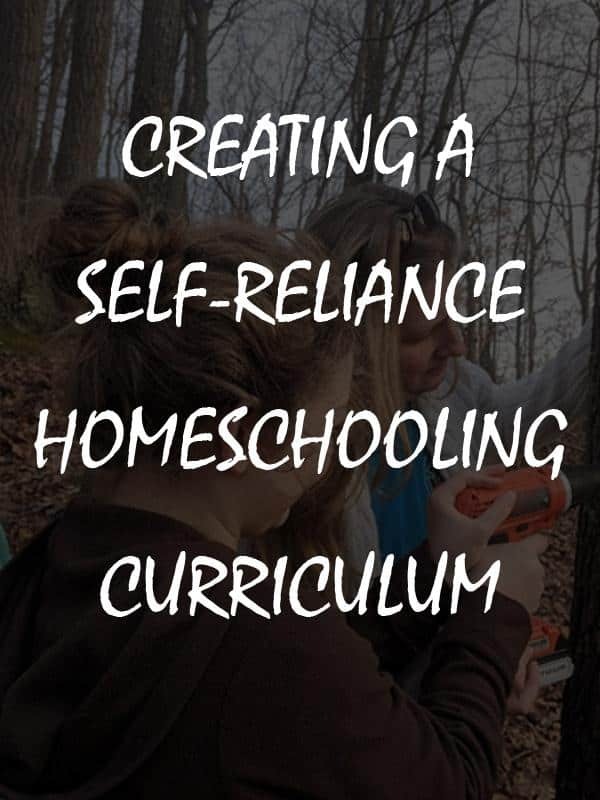 These are just a sampling of a few of the many ways you can use self-reliance skill building activities and common homesteading chores to teach valuable life and academic lesson in your prepper retreat homeschool classroom. The ultimate beauty of creating a homeschool curriculum is that you can adapt it to meet the goals, beliefs, and lifestyle of the family while still maintaining a quality learning experience in core subjects for your children. 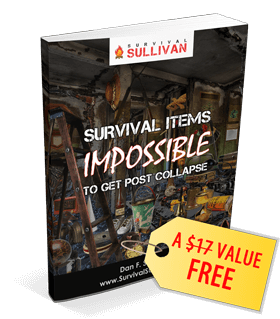 Have ideas for infusing survival skills into academic lesson plans? Share them in the comments section below! Thank you. 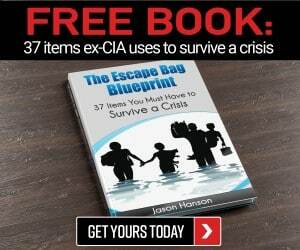 What are children are you homeschooling now or expecting to after the SHTF? Happy to help offer some more tips or guidance to help you get ready to educate the kiddos during a disaster – and most likely after for quite a while.